The majority of mineral cosmetics on the market is still heavily loaded with synthetic preservatives like parabens, dyes and fillers which may be harmful to your skin. Afterglow Cosmetics are free of synthetic dyes, paraben preservatives and irritants like bismuth oxychloride in any of our formulations. Minerals are good for your skin. 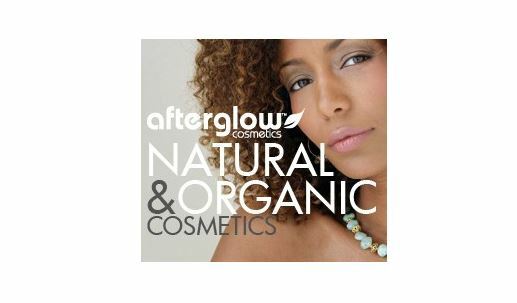 Minerals infused with age-defying properties of certified organic antioxidants like organic grape seed and organic pomegranate extracts take Afterglow Cosmetics to a whole new level of natural beauty. Made in the USA. Woman owned. Woman formulated. Never animal tested. See and feel the Afterglow difference! Schedule a personal consultation with an Afterglow professional, so you choose the products and colors that are just right for you. Share your discovery with friends and family. Host an Afterglow Cosmetics Party.